My sister is visiting home from Australia for a few weeks. While I am sad I won't be able to see her in Christchurch, it got me reminiscing about all the good foods I had there when we last went down to see our parents. 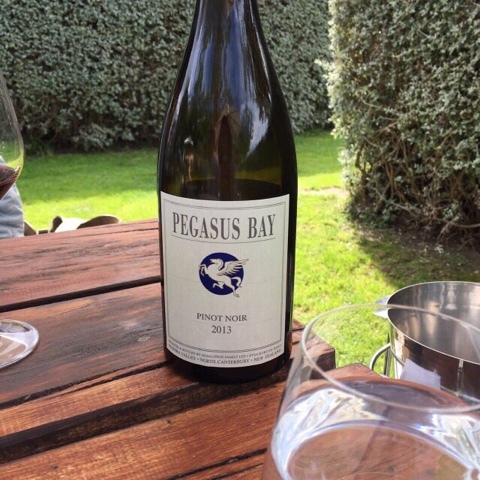 Pegasus bay restaurant is a family owned winery. With numerous prizes under their belt, it is also a great setting to be married in - one I thought could be a possibility for mine. 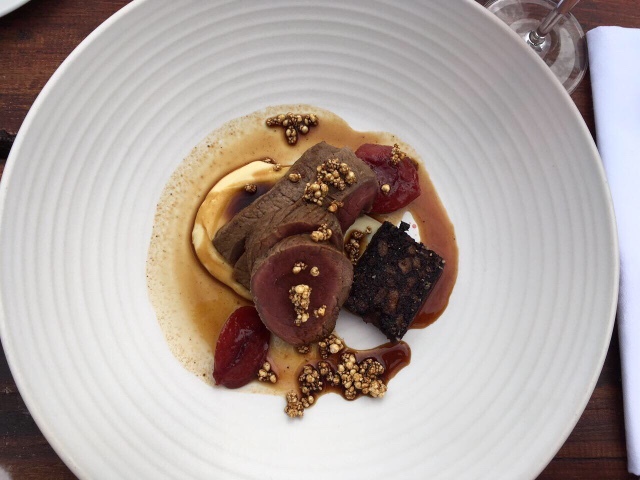 Their pinot noir is famous, as is their food. 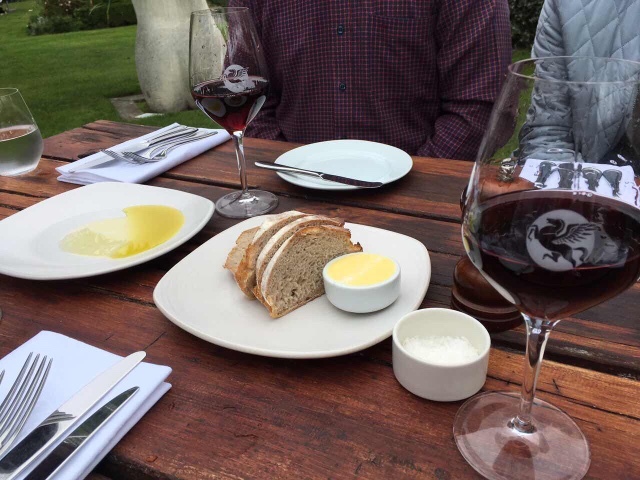 First we had the bread with butter and olive oil dip. 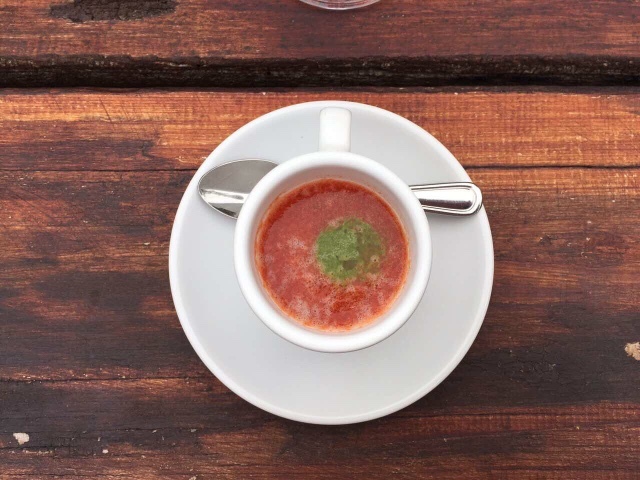 The gazpacho appetiser came in espresso cups. Mum wanted to savour it, they were so good, fresh and tangy. 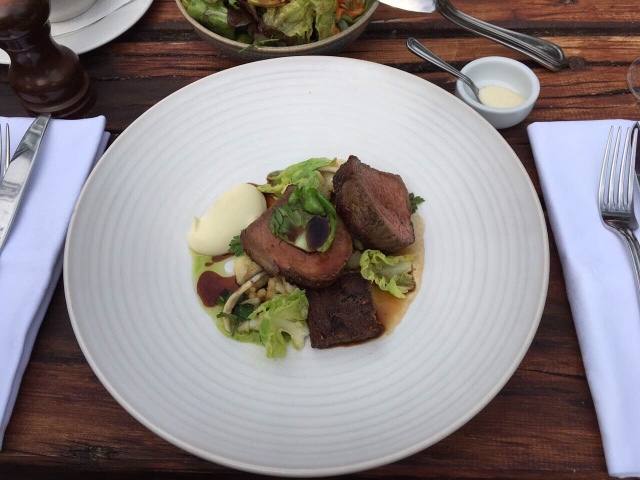 For the mains, we got the wild venison, house made black pudding, celeriac purée, poached Burbank plum, liquorice granola (me), North Canterbury Angus/Hereford beef sirloin, fried oxtail, cauliflower, parsley oil, boquerones, brussel sprout leaves (Dad and A), and steamed market fish, grilled octopus, Japanese radish, grapefruit, shiitake consommé (Mum). I think my dish was the best and was very pleased with myself. 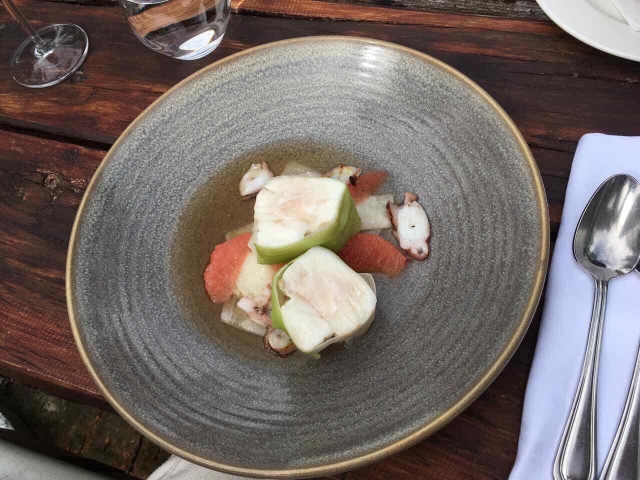 The restaurant portions are deceivingly made to look tiny whereas in reality it was perfect, what with the starters and the sides of salad and potatoes, as well as the dessert that was to come. The waiter asked if we wanted the wines recommended to match our mains but we were, No, thank you, just a bottle of your pinot noir would be perfect. She then proceeded to rinse our glasses with the wine we were about to drink, lest the wine be tainted with any remnants of dishwash tastes. This apparently was the Italian way, which even A my French husband had not seen before. Feeling already full by the end of the mains, we opted to share our desserts: warm calvados baba, baked apple, chèvre ice cream, and a selection of three tiny petit fours. Unfortunately, I was incapable of enjoying them as much due to my stomach on the verge of exploding. We really went overboard with our choices here and ended up spending over three hours for lunch, rolling out with our bellies full, a real rare case of gluttony.